The PVB pressure vacuum breaker is designed for installation on potable water lines to prevent contaminated water back-siphonage into the potable water supply. Assembly shall provide protection against back-siphonage where a potential health hazard exists. Designed for installation on potable water lines to prevent contaminated water back-siphonage into the potable water supply or irrigations systems where a potential health hazard exists. 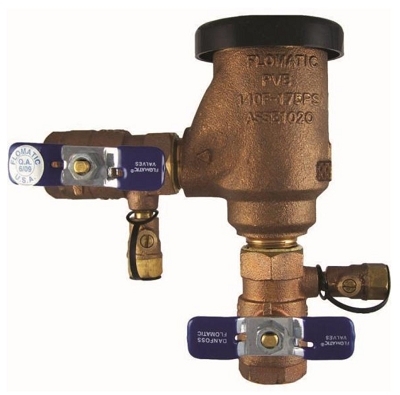 The PVB Pressure Vacuum Breaker is ASSE 1020 listed and all major national approvals are under the Danfoss Flomatic brand name (Sizes 1/2 & 3/4). Please refer to Conbracos PVB 4V-500 technical sheet for certification and national approvals.